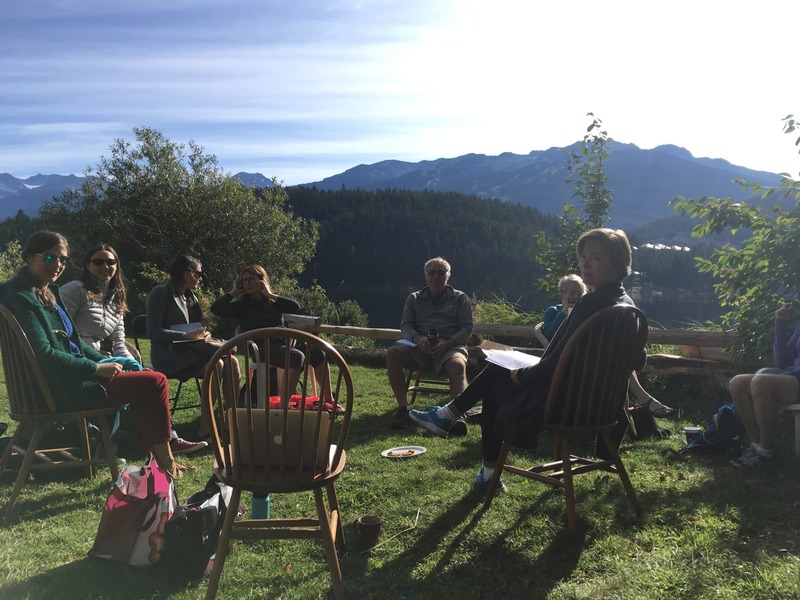 The Whistler Writer in Residence (WWR) is an intensive workshop program for emerging or established writers seeking to raise the level of their writing craft, while working on a specific writing project. Open to all residents of the Sea to Sky Corridor, participants receive feedback on their manuscripts from our WWR guest author during four one-on-one sessions, and at four group lectures focusing on various aspects of the writing craft, writing life or publishing industry. The program is held at the Alta Lake Artists Cabin on the shores of picturesque Alta Lake, next to The Point Artist-Run Centre, and takes place during September and October. Participants submit their manuscripts in advance in August, (up to 20 double spaced pages), in the genres of fiction or non-fiction—although other genres will be considered depending on the background of the guest author. There is some flexibility with the critique of submissions, and writers can choose to submit one piece and re-write it over the period of the residency based on feedback from the WWR guest author, or receive feedback on multiple submissions. The cost of the program is $350. Two WWR Scholarships are available for Sea to Sky Residents as part of our equity initiative program. Writers who are Indigenous, Black, racialized, LGBTQI2S, or living with a disability diverse background are invited to apply here. Previous Whistler Writer in Residence guest authors have included: Paulette Bourgeois, Candas Jane Dorsey, Wayne Grady & Merilyn Simonds, Brian Brett, Sarah Selecky, Ania Szado, Fred Stenson, Michael Winter, Susan Juby, Caroline Adderson and Claudia Casper. We are grateful for the funding assistance of the Resort Municipality of Whistler’s Community Enrichment Program.